Patented triangular design offers rock-solid support of the fence and workpiece at any angle setting. The Osborne EB-3 Miter Gauge uses the inherently strong structural properties of a triangle to keep its fence rigid all the way out to the end. This means no more inaccuracies caused by wobbly miter gauge fences. The EB-3 features a new telescopic fence that offers support and repeat-ability up to 42'' from the blade. The stop flips out of the way when not in use and abrasive tape on the fence face prevents workpiece slippage. The patented angle adjustment assembly makes it possible to quickly and easily find any angle, while the precision detent plunger auto-locates common angles quickly: every 5°, and at 22.5°. The fence can also be adjusted from side to side, allowing tight clearance to the blade, and the entire assembly is reversible in seconds for use in either miter slot. 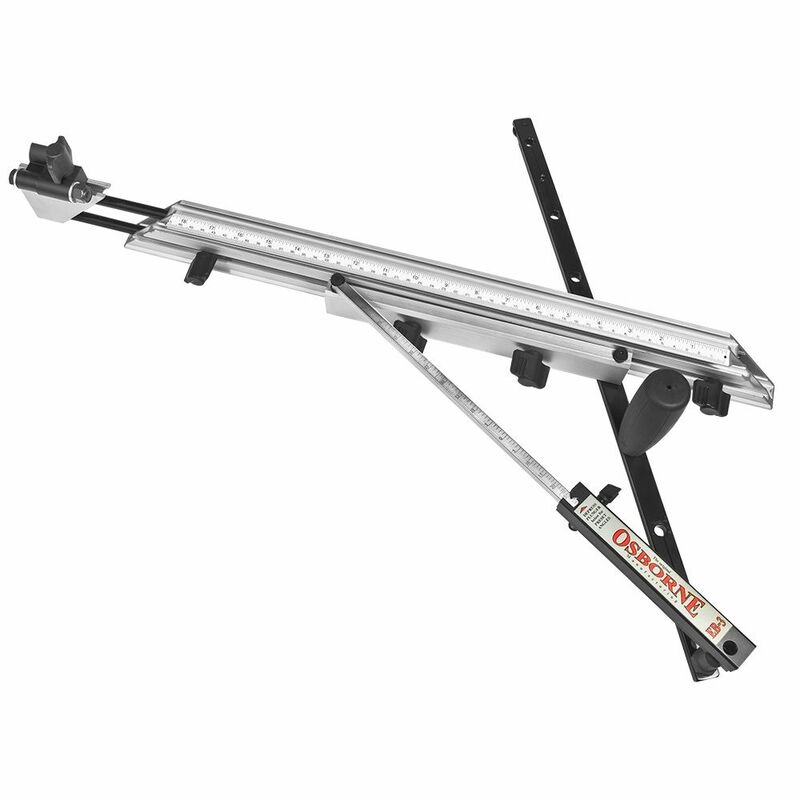 A removable heavy-duty steel T-slot washer holds the guide bar snug to the table, while the three guide bar expansion screws remove any play in the miter slot. A simple-to-use lockable calibration mechanism allows you to make precision angle adjustments when needed. I have tried several miter gauges and none are as stable as this one in my opinion. Easy to adjust the quality is exceptional for the money. It is very robust, dropped it accidentally from my table saw and still was true without the need for adjustments. To speed up my process, I purchased a second one to have a left and right. I also made a shelve at the side of my table saw where they sit ready and out of the way. My EB3 came out of the box square and true. Only needed a slight adjustment to snug it in my Delta table saw slot. I'm undertaking a kitchen reno and I can't imagine doing it with a standard miter guage. I absolutely love this product. I highly recommend! Works good. Been wanting one for a long time. Picked up this miter gauge when I took one out of service do to drop damage. Liked the geometry of the gauge and it's potential for accuracy. Out of the box it was easy to assemble, dead on accurate, and stable to the maximum deflection available. No wiggle no wobble just rock solid. Started making cuts in scrap and verifying the angle with a digital measure and the accuracy holds true. Very glad I invested in this tool, it just made my saw a lot better. This really is the best miter gauge ever, accurate, fast, easy to set. AND to reset. With the Osborne I don't dread setting up for a 45, 60, 5, 10, or 22.5 or bringing it back to 90. It really repeatable too. You do have to pay attention to where on the mark you are registering if you want super accurate cuts. This miter gauge by Osborne is very well made and easy to assemble. Be sure to take the time to install the fence facing material. Setups are easy, straightforward and the result is dead accurate. Couldn't be more pleased. absolutely essential table saw accessory. got tired of having to check the angle on the miter gauge that came with my new saw and decided to upgrade. out of the box this is a good strong and accurate miter gauge. I will agree with those that said the sand paper on the front side of the bar is too course. 120 to 150 would have been fine ( excuse the play on words).The Flip stop works well. As stated in the owners paperwork , the tape measure is just a reference , not an actual absolute marker from the blade. I have never had success cutting tight miters. 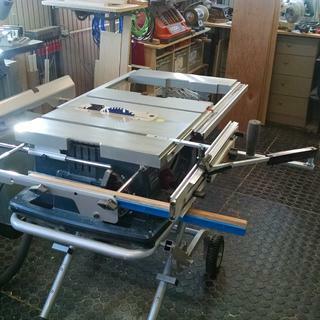 I have tried a miter saw, home made miter sled, and the factory miter gauge that came with my table saw. The EB-3 was a game changer. It was spot on right out of the box. Well worth the price. have only used it a couple of times. it seems to be accurate. it is easy to use, well built and easy to set up. it is certainly a lot better than what came with my saw. This is hands down the best miter gauge out there. Just can't say enough about it. I'm retired and sold my cabinet shop. Went from a sliding table saw to a Bosch contractors saw. With this miter gauge and a few adaptations I can cross cut and dado 16" wide stock. I has flip stops out to 42". Extremely accurate, and quick to set. Easy to set from sliding T bevel gauge. BUY IT! I don't know if this is the best miter gauge you can get, not having tried them all, but it's very good. The triangulated design makes it very rigid and easy to adjust, the flip-up stop works well, and the price is reasonable. I'd certainly buy it again, and would recommend it to anyone. I love this thing? 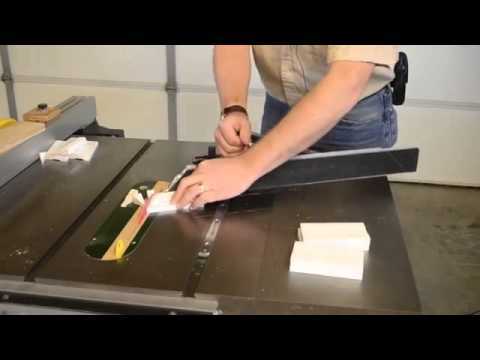 It is the best and most accurate and repeatable miter gauge I have ever seen and used! The positive stops at every 5 degrees and the accurately marked single-degree marks make it easy to repeat angle cuts over and over. 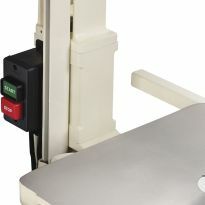 The stop block can be seat anywhere needed to make repeatable length cuts all day long! It does not get any easier to use! I purchased this gauge for a large project that required a high degree accuracy and repeatability. This tool far exceeded my expectations, and the flip stop, that was included, was just icing on the cake. Solid miter gauge. Does everything I wanted. The idea behind this is awesome -- accuracy from the long edges of a triangle rather than from the shorter edge of a protractor. I can confirm that the build quality is excellent. However, the bar does NOT fit in the left slot on my 1980's Craftsman table saw, where I need it. It does make a snug fit in the right slot -- so their claim "will fit Craftsman slots" may be right for some saws. This miter is really nice but is missing 1 component that another miter I own has: A clamp to hold boards in place, freeing up a hand to do other things. I got my Osborne EB-3 miter gauge a week ago and was very excited about it until I tried to put it work. The guide bar was about a 32nd to wide for my Craftsman table saw. This necessitated a trip to a local metal fabricator who is in the process of trimming it down to a usable width for me. Other than that, the gauge looks pretty substantial and I'm looking forward to giving it a try. We'll see! 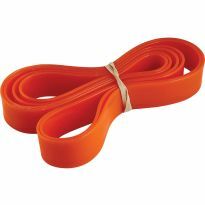 Great miter gauge. Definitely better than traditional style(Incra, Kreg) gauges. Easy set up. Easy to use. Easy to switch sides. The grip strip provided is too coarse, I used 150g sandpaper, and I think it is perfect. The flip stop works well, but would be nice if it was reversible. I saw all the reviews and was anxious to get the miter gauge but was left disappointed after arrival with a bent screw and it very out of adjustment. I don't like that it catches on the far table edge when the miter bar end exits the track and you draw it back in. t is not weight balanced so if the right or left side extends beyond the iron top, it wobbles in the track and binds forcing you to keep pressure down on the handle for it to slide. I had to elevate the end of the horizontal edge with extra slip tape stacked up so it wouldn't bind. Once adjusted , It is accurate and great for miter cuts. Overall, I'd stick with the Incra Gauge. I have both and prefer the Incra. Very accurate and stays accurate. The track does not fit well in my miter gauge slot because during manufacturing, the drilling/tapping of the hole for the handle made the track bulge so much it rubs on the side of the slot. It does not run as smoothly as I expected. The nut for the stop ends up right over the tape measure so you can't see the setting. Followed the manufacturers instructions to a "T" but it scratched my saw table. My recommendation would be to leave the sand paper off the face of the gauge. I bought this miter gauge because I though it might be useful on larger pieces of wood. I have not tried it, and I will send it back because it has a fatal design flaw. The concept of building a miter around the structure of a triangle is a great idea, but it won't work as it should unless the vertices of the triangle are stable. 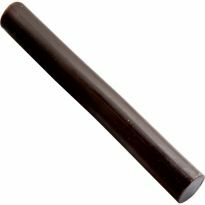 The connection of the fence backing to the miter track bar is made with a thin screw that is about 2.5 inches long and about 3/16th of an inch in diameter with only about 1/4th inch of thread that screws into the track bar if that. The screww goes through the fence backing and into the bar with a rubber washer between the fence backing the the bar. The screw does not have enough strength keep the fence from moving relative to the track bar. When I pick up the miter with one hand on the track bar and the other on the fence, it is easy to demonstrate play in the connection between the fence backing and the track bar. This translates into substantial movement of the fence off a 90° angle went set as such. In order for the miter to work accurately, there needs to be a rigid post coming up vertically from the track bar. The fence backing needs to have bushings in it to accept the rigid post without any play. I suppose tightening the current screw very tightly would reduce the play, but this would would lock the fence in one position and ultimately start to compress the soft aluminum fence backing. The current design of using a rubber friction washer between the fence backing and the track bar with everything held in place by a skinny screw that only penetrates the bar less than a quarter of an inch and goes through crude drill holes in the fence backing for two inches instead of tight bushings, is simply inadequate. Not impressed with the accuracy. Miter bar binds, the bar is plated with cheap nickel or chrome. One of the fence adjustment knobs hits the handle when it is set to 45 degrees. Overall construction does not match the picture, it seems cheaply built. Although it does seem to be accurate so far. Look elsewhere. I should have sent this back.... I had to make it work correctly. First, the set screws came with an Allen wrench that didn’t fit because the tops of the screws were bugged up yet a ball end Allen wrench worked. Second, the miter bar bound terribly.....( I have 3 other miter guides and all glide smooth as silk in the miter slot... this one not so much. I had to grind away a little on each side with a deemed tool to get this to feel what I consider normal. The quality control of this product leaves a lot to be desired. I can only imagine where this was made! Always looking for ways to increase accuracy, figured I would try this out after reading the reviews. Woodworkers Guild of America review. Looking to upgrade unisaw miter gauge with longer fence and flip stop. My uncle claims this is the best miter gauge ever. Looked up reviews after viewing on New Yankee Work Shop. Online reviews, YouTube videos. Your 5 star rating. Saw this as a recommendation on one of the Norm Abram's video and knew I found the right after-market upgrade for my table saw miter gauge. Seems easy to use and it had good reviews about accuracy. Looks like a neat way to cot compound miters. If it works like they say, it will be much better than what i have. No matter what angle, what length, miters are always dead on. Simple to operate lock in angles at EVERY 10° , along with the standards of 22.5°, 33.3 & 45 very accurate it is the best in the industry bar none!! 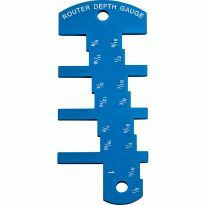 This is an accurate, heavy duty gauge with a stop and its great for longer heaver bulky cross cuts as well as accurate miter angles. love this thing, lets me make precise miter cuts at any angle. Looked at many but had used one of these before. I like the way it works. Old miter gauge is worn out, most conventional gauges don't fit securely in my table groove, AND I need to cut longer pieces. 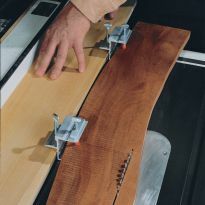 I have used this same miter gauge on my Ridgid table saw, and now own a Grizzly saw which requires its own miter gauge. This gauge was very easy to set up and is very sturdy. Well worth the money. miter gauge for my table saw. looks like a good miter gauge that should hold steadier that others without a support bar saw the video on it also. Good online reviews and videos. Can it be used with a ShopSmith saw??? BEST ANSWER: I'm not sure. I use it on a SawStop. But, as long as the guide fits appropriately in the table grooves, I don't see why it wouldn't. Can a hold down clamp be used with it? BEST ANSWER: Yes, but it takes making a bracket and purchasing some parts from Rockler. The directions for making the bracket, and the parts to be purchased from Rockler can be found on the Osborne Website in their videos. There is a YouTube Video that demonstrates how to easily & inexpensively make one that works very well. This is by far the best Miter Gauge made. 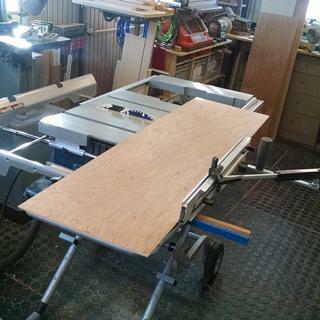 Prior to my retirement, I owned a large sliding table saw. Go to YouTube and search Osborne EB-3 for several neat videos. ENJOY!